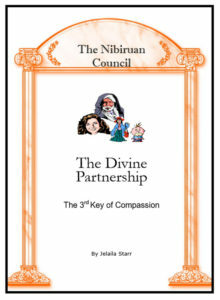 Discovering that there once was a divine partnership is the first step. The second step is reestablishing the relationship. The following is a visualization technique that you can use to reunite with your Inner Child and your Soul (for brevity’s sake, in this section I’ll refer to the Inner Child/Ego as the Inner Child). Though it is called the Inner Child Reunion Technique it reunites all members of the partnership. Place yourself in a relaxed, meditative state. Deep breathing and consciously clearing the mind will usually do the trick. Using your imagination, create a place in your mind where you can go to meet with your Inner Child and your Soul. You can use this place whenever you desire to connect with them. For me, it is a little creek in the woods. I go there in my mind, take my shoes off and wade in the water. While wading, I call my Inner Child and Soul forward. Once they arrive, we all either sit together on the big rocks that surround the creek, or wade downstream picking up pretty stones or catch salamanders as we talk. Ask your Inner Child to come forward and present him/herself to you. He/she will usually take the form of a child between the ages of 4 and 14 . Once he/she arrives, take time to get reacquainted. Let him/her know that you understand the fear and pain he/she has endured by trying to do a job he/she was never meant to do. Let your Inner Child know that you do not blame him/her for anything that has happened in your life. Assure him/her that you are aware that the suffering you both have endured was part of Earth School training and that you have learned much because of it. Let your Inner Child know that you now understand and are aware of the original relationship you both once shared, and that you are ready to recreate it. Ask your Inner Child if you can give him/her a hug, and as you are hugging him/her, explain that from now on you are only going to ask him/her to do the job that he/she was created to do. That job is to protect your physical body so you can both remain on Earth. Ask your Inner Child for his/her name. Let him/her know that by that name, you will address him/her from now on. If there is an issue up and you are manifesting symptoms, such as carpal tunnel syndrome or pain in one arm, ask your Inner Child what he/she is afraid of. Once he/she answers, ask him/her to show you scenes from, or take you back to, the lifetime when this fear first manifested. If there is no issue coming up at this time, and you are only wanting to reestablish your original relationship, then skip this step and go to the next step. Ask your Soul to come forward and present him/herself to you. He/she will usually manifest as an older person like a grandmother or grandfather. Let your Soul know that you appreciate the sacrifices he/she has made and that you understand the pain he/she has suffered being locked away. Tell him/her that you understand how lonely he/she has been and that you are grateful that he/she continued to try to do his/her job in spite of the many obstacles placed in his/her path. Thank him/her for persevering long enough to finally lead you to the knowledge of your original relationship and let him/her know that you want to create that relationship again. Ask your Soul if you can give him/her a hug, and while hugging him/her explain that you are ready for him/her to do the job he/she came to do. That job is to guide you and the Inner Child along the path of your Life Blueprint. Introduce the Inner Child to the Soul and give them a chance to get reacquainted. You will find that the Soul will usually take the lead. I have seen many times where the Soul will pick up the Inner Child in his or her arms, and hold him/her for a while.